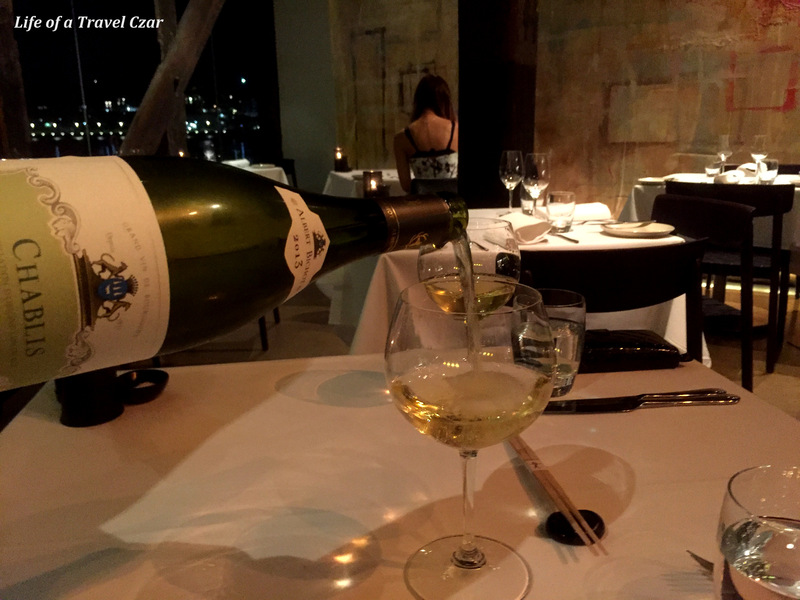 We set-off for dinner and we arrive at the Flying Fish Restaurant in Pyrmont (Jones Bay Wharf). I have been here a couple of times before and the seafood is always amazing and I hope that today will be no different. 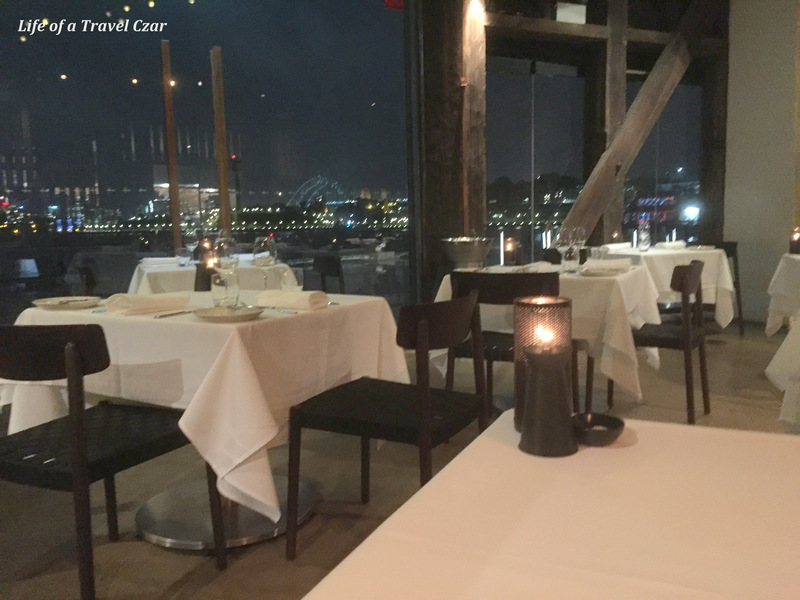 The restaurant is amazing and has beautiful views with glimpses of the Harbour Bridge. My dining companion and I settle into our seats and we discuss what wine we should order to pair with the menu. 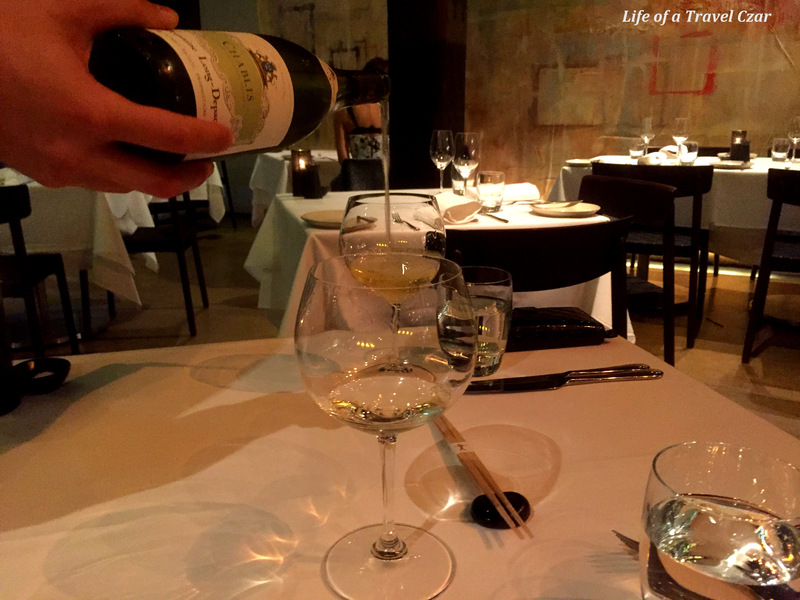 We opt for a beautiful bottle of Chablis which would complement the seafood dishes we are about to order. An excellent choice of wine…if I may say so myself. The wine has wonderful aromas which are resident in most Chablis; a good fresh waft of shellfish saline hints together with plush apples and a hint of citrus notes. On the palate the wine is rich, with a beautiful seductively buttery texture with good zest, energy and acidity to support the fruit and a fresh flourishing minerality which flows into the finish. 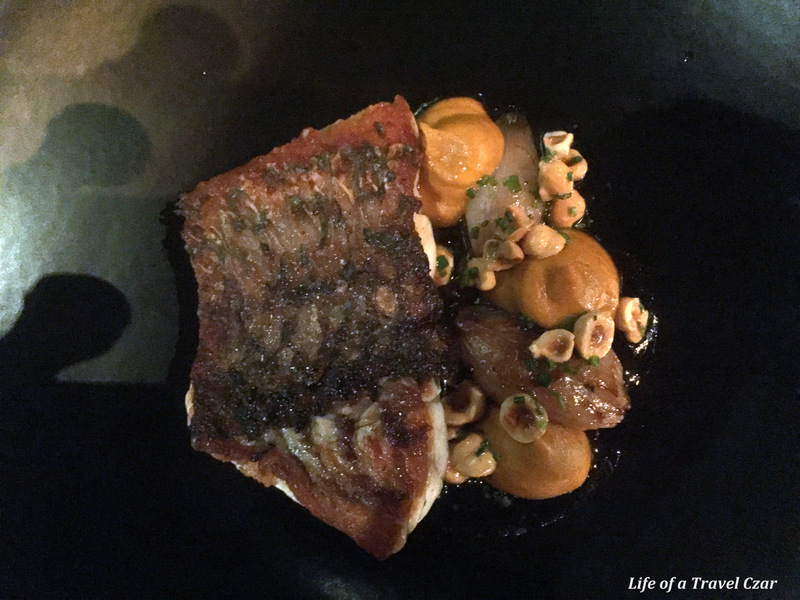 This dish is all about the beautiful fresh fish with its natural flavours. 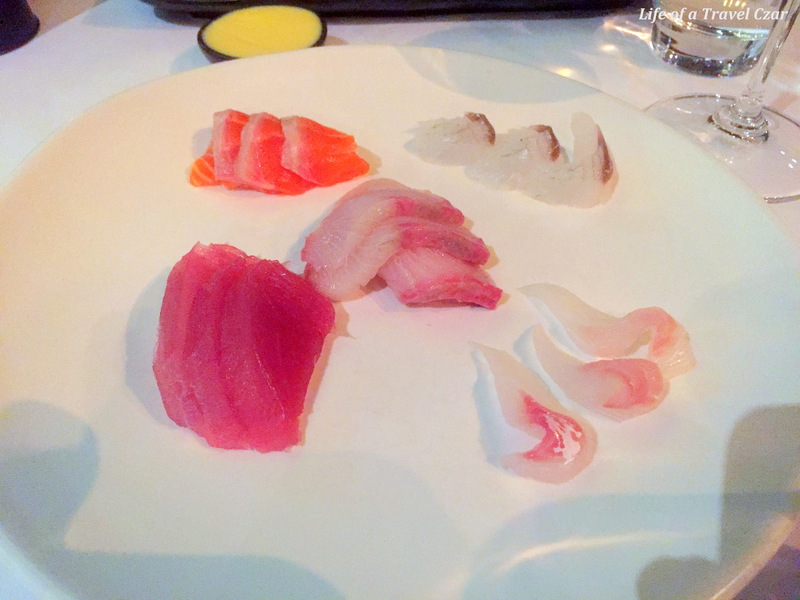 The rich oily flavour of the tuna and ocean trout were a treat, while the more mild taste of the snapper forced one to take small bites to savour it to discern the nuances of the flavours. 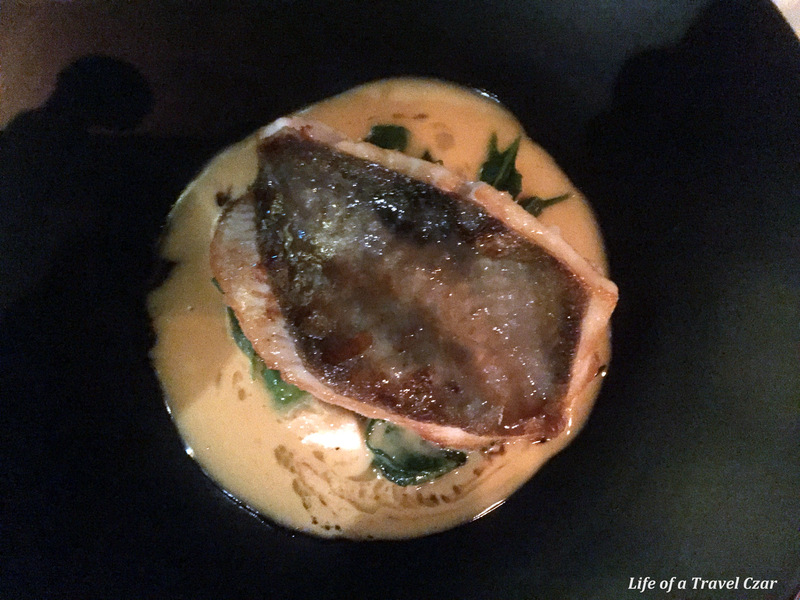 The sand whiting, which is absent from most menus these days, proved a delight with its clean crisp flavour. 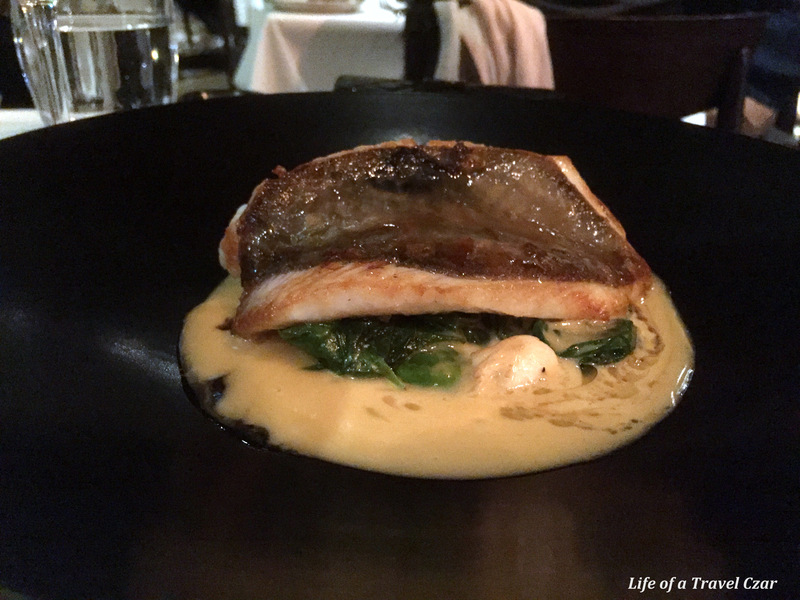 When you consider that this dish was paired with the beautiful Chablis, I don’t think one could envisage a more satisfying culinary combination. The beautiful rich natural flavours of the octopus are a delight. The richness of the crème fraiche dominates while the saline hit of the saltbush adds a nice herby touch. 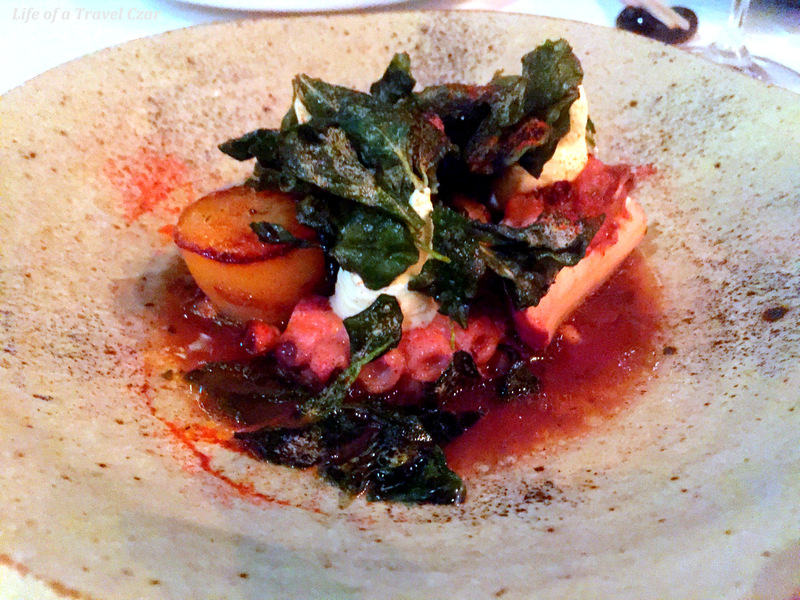 The confit potato is delightfully buttery and soft and pairs well with the octopus. I did feel the richness of the crème fraiche was a little too much and made the dish a little heavier than required. 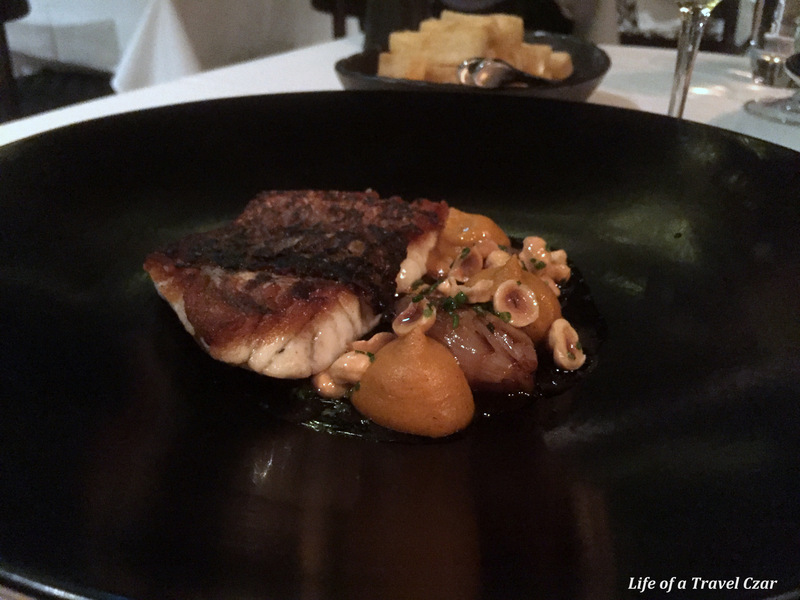 I opt for the Barramundi for the main course. 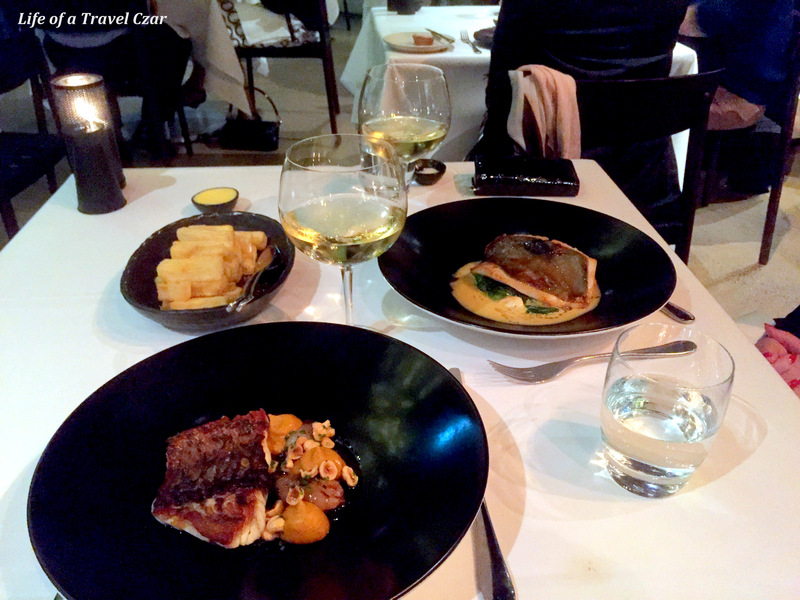 The barramundi has a beautiful rich crispy salty skin and its natural flavours ooze from the juicy meaty flesh. The dish certainly delivers! The smokiness of the eschallots adds a nice dimension to the dish, the curried carrots are full of flavour and provide a bit spice and sparkle to the dish, while the crunch of the hazelnuts provide an alluring textural contrast. A very enjoyable dining experience indeed. We opt for some chips as a side which proves to be a lovely comfort dish. 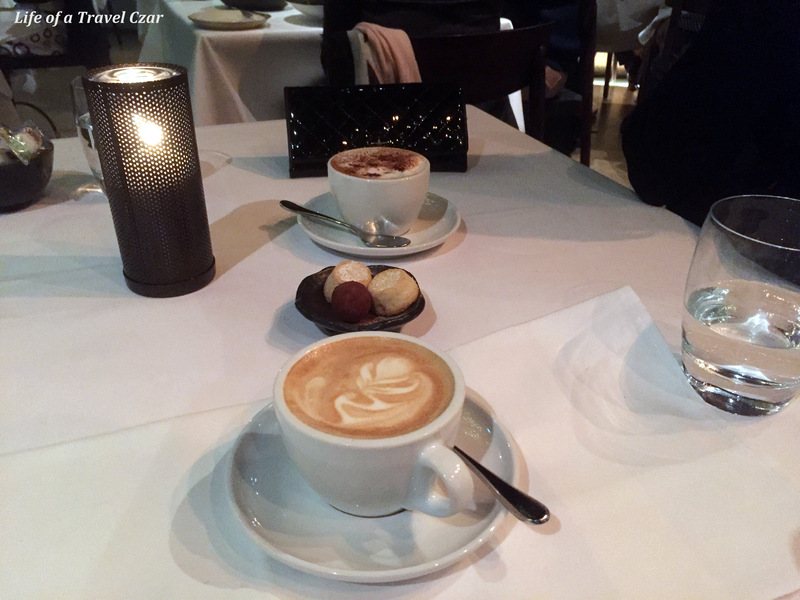 We decided to have a coffee with petit fours to finish and kick-on for some post dinner drinks and gelato as our dessert. The coffee was flawless. 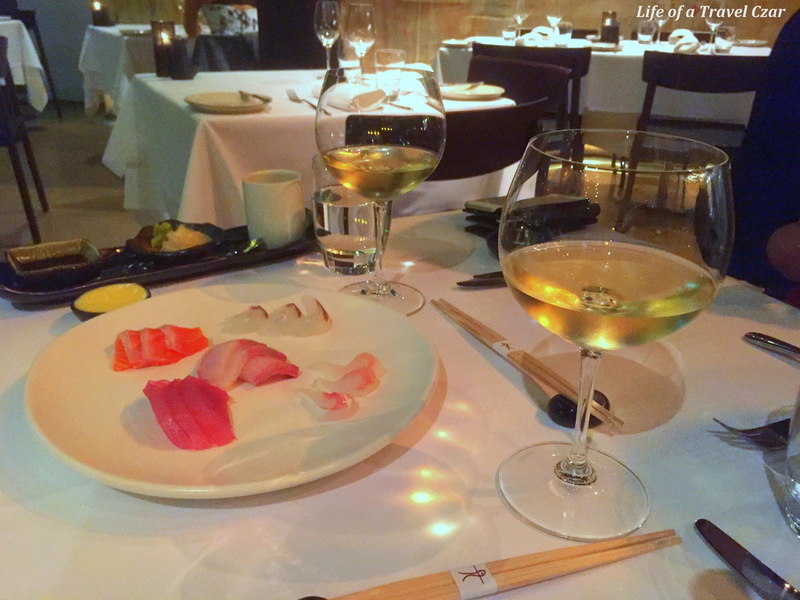 A very enjoyable dining experience with quality seafood, wonderful wine and a beautiful location.